Im Lichte des fünften Sachstandsberichts der Zwischenstaatlichen Sachverständigengruppe für Klimaverschlechterung (IPCC) und im Vorfeld der Warschauer Konferenz zum Klimawandel (COP) wurde ein eintägiges Seminar unter dem Titel „Umweltschutz und Klimawandel als eine Herausforderung für die Politik - die Rolle der Ethik, der Lebensstile, der Solidarität und der globalen Gerechtigkeit“ abgehalten. In light of the IPCC’s 5th Assessment report, and in advance of the Warsaw Climate Change Conference, a one day seminar entitled “Environmental protection and climate change as a challenge for policies – the role of ethics, lifestyles, solidarity and global justice” has concluded. The dialogue seminar between representatives of churches and European institutions took place on Thursday, 17 October 2013. 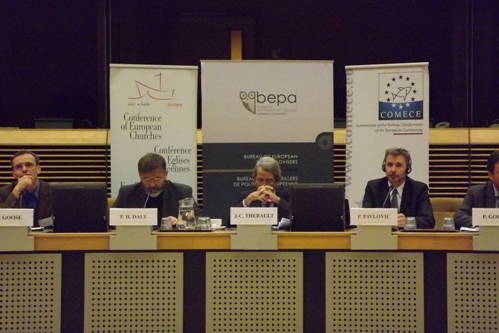 The event was organised jointly by the Church and Society Commission of CEC, the Commission of the Episcopates of the European Community (COMECE) and the Bureau of European Policy Advisors of European Commission (BEPA). 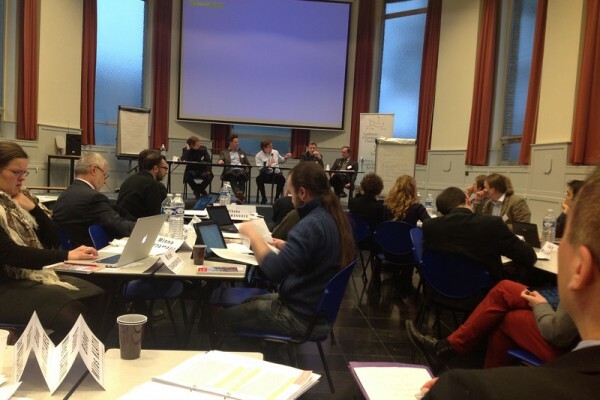 The European Year of Citizens 2013 has been the main theme of the annual plenary meeting of the Church and Society Commission of the Conference of European Churches (CSC) that took place in Brussels from 18-20 April. Injustices of the current world pose a substantial challenge for the unity of the Church; the question of catholicity and justice cannot be separated. 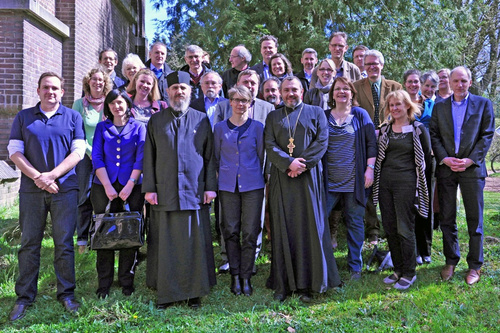 This was the underlining message of the preparatory meeting for delegates of the 10th Assembly of the World Council of Churches from European churches, which took place from 27-28 February 2013 in Brussels. Auf dem Weg zu einem europäischen Model sozialer Marktwirtschaft? Auf dem Weg zu einem europäischen Model sozialer Marktwirtschaft? Unter dieser Fragestellung führten CEC und COMECE gemeinsam mit dem Büro Europäischer Politischer Berater der Europäischen Kommission ein sog. Dialog Seminar am 14. Dezember 2012 in Brüssel durch. Vers un modèle européen d’économie sociale de marché ? Tel était le thème du séminaire de dialogue organisé par la CEC et la COMECE conjointement avec le Bureau européen des Conseillers de la Commission européenne (BEPA), le 14 décembre 2012 à Bruxelles. 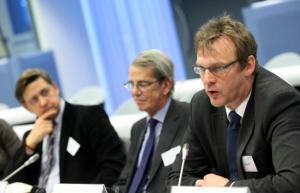 How to build a European Model of the Social Market Economy? On 14 December, CEC joined forces with COMECE and the Bureau of Policy Advisers of the European Community to hold a dialogue seminar, "How to build a European Model of the Social Market Economy?" 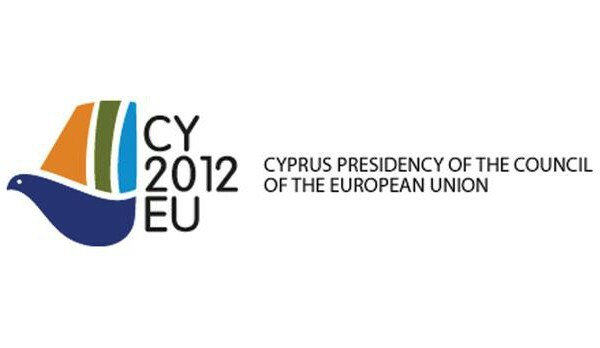 The delegation of Cypriot and European Church representatives were received by the Cypriot Deputy Minister for European Affairs Andreas D. Mavroyiannis on 6 October in the Presidential Palace in Nicosia as part of the series of regular encounters between Churches and EU Presidencies. They had an exchange of views concerning a series of topics related to the agenda of the Cyprus Presidency of the Council of the EU.